How much does breakfast actually matter? 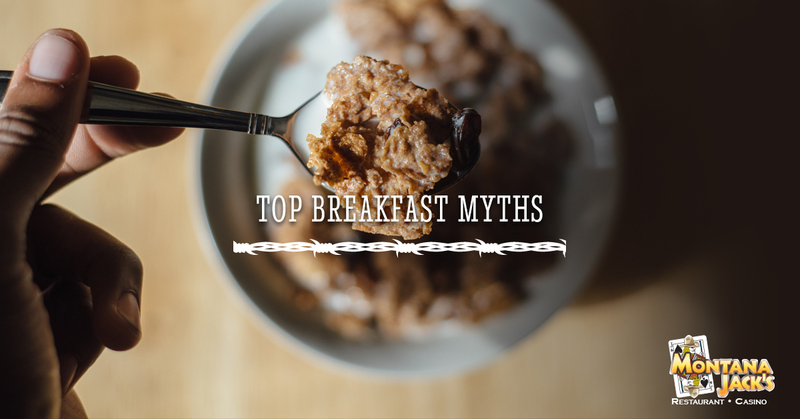 We hear all the time that it’s the most important meal of the day, but many Americans skip breakfast altogether! Read on to learn more about how our breakfast behaviors can affect our bodies and our energy. Myth: Breakfast is needed for weight loss. This isn’t necessarily true! When people are trying to lose weight, it doesn’t matter if they eat first thing or not. Researchers have found that skipping the meal didn’t help anyone lose weight, but it also found that those who ate breakfast didn’t gain weight either. Keep in mind, though, there are specific foods that can help weight loss when eaten at breakfast time. Contact a nutritionist! Myth: Breakfast makes you smarter. This hasn’t been found to be true. However, studies have shown that eating breakfast before you are expected to engage in another task, such as academics, can help you improve. This is because you are not distracted by feelings of hunger, not necessarily because the breakfast food itself made you smarter. Myth: Breakfast will slow you down for the day. Not the case! Breakfast will usually give you more energy. Those who eat breakfast are more likely to move about and engage in more physical activity than those who skip breakfast. The breakfast skippers tend to do things a bit more sluggishly. The active people who did eat their breakfast usually burned about 500 more calories than those who skipped. If you find that eating in the morning gives you more energy, feel free! If you are looking for a new breakfast experience, then make sure to come see us at either our Missoula or Billings restaurant! We proudly offer breakfast treats from griddle classics to eggs, from specialty breakfast burritos to omelets. Even if you’ve been into our restaurant a hundred times, we look forward to having you back so you can try our new dishes! Huckleberry Flapjacks – These are classic, golden buttermilk pancakes filled with huckleberries. Huckleberry Belgian Waffle – We cook these waffles until they are crispy on the outside and light and airy on the inside. Served with a house-made huckleberry topping. Mexi Omelet – If you love chorizo, this is for you! This three-egg omelet is filled with chorizo sausage, diced tomatoes, black olives, green onions, and pepper jack cheddar blend. Topped with salsa and sour cream. Turkey Bacon Avocado Omelet – Our three-egg omelet is made with roasted turkey, bacon bits, and a cheddar blend. To top it all off, we love to add hollandaise sauce, diced tomatoes, and fresh avocado slices. Whether you are looking for a hearty meal to kickstart the day or a sweet treat to satisfy that sweet tooth, we can help! We look forward to seeing you and the family bright at early at our restaurant. We serve breakfast daily from 6:30 a.m. to 2:00 p.m., so there is plenty of time for you to find your way to our doors. If you are looking for weekend brunch, come see us as early as 8:00 a.m. We’ll be serving our famous breakfast foods until noon or later!